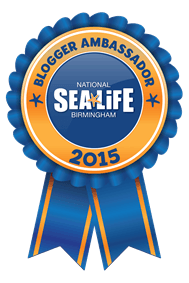 I’m delighted to announce that the Mama Geek family have been chosen as ambassadors for Sea Life Centre Birmingham. It is one of Georgie’s favourite places to visit locally – especially since they added some rather adorable penguins – and so we are delighted to be working with them and promoting their attraction over the next year. We will be visiting regularly and keeping you all up to date on what they have going on, as well as, I am sure, spamming the blog with lots of sea life photos! It is one of my favourite places to dawdle about with my camera, as it is such a challenging place to photograph. To celebrate, I am giving away two complimentary family tickets to Sea Life Centre, called for two adults and two children. Join us for a fascinating journey from the coastline to the depths of the ocean. Dive into a magical underwater world where every turn reveals something new, from a face to face encounter with sharks to a hands-on experience at our rockpool. There will be two winners to this giveaway, each receiving a family ticket for up to 4 people to visit a Sea Life Centre of their choice, other than this in London, Chessington and Alton Towers. The tickets are valid until 31st December 2015. The restrictions on the tickets are all detailed on the tickets, and at the bottom of this post. Good luck! This competition closes midnight 14/06/2015. To enter this competition, just comment telling me what your favourite sea creature is, and record your entry using the Rafflecopter widget below. Valid until 31st December 2015. 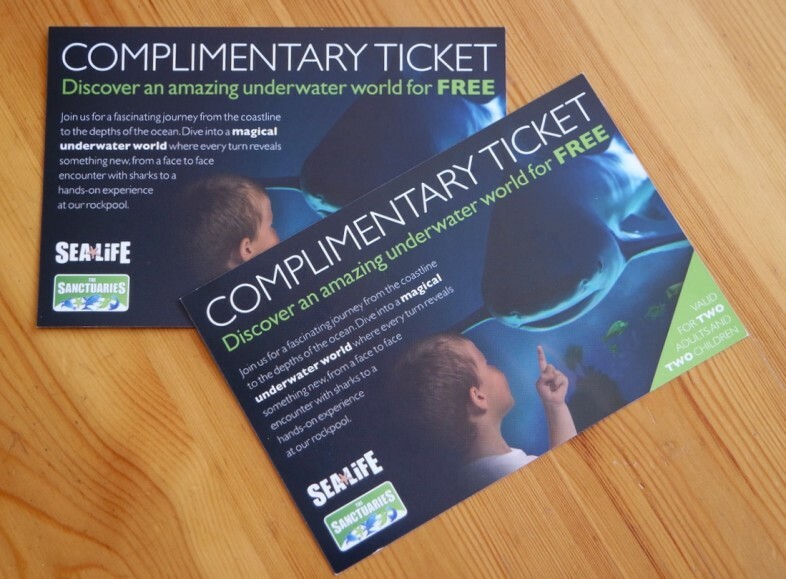 This ticket entitles a maximum of two adults and two children free entry to any UK SEA LIFE centre & sanctuary other than those in London, Chessington and Alton Towers. This is subject to each site’s Terms and Conditions which are available at www.visitsealife.co.uk/terms. Children under the age of 15 must be accompanied by an adult. This ticket is NOT valid on 25 December. Only one ticket per transaction. It must be given in at the ticket booth. It is not valid in conjunction with any other offer or online/call centre booking. It has no cash value and no alternative will be offered. Any transfer or sale of this ticket will render it void. SEA LIFE UK reserves the right in its absolute discretion to refute entry and to close/and or alter all or any part of the facilities at the attractions for any reason. This ticket remains the property of SEA LIFE UK and SEA LIFE UK reserves the right to take possession of this ticket at any time. This Ticket can only be used once, and only original, valid, undamaged and legible tickets will be accepted. Go to www.sealife.co.uk for details of our UK sites and what is happening at SEA LIFE. Great white shark. It’s on my bucket list to at least see one. If I get to cage dive with one, even better! The Whales we go to sea in Iceland each year.